Summary: Shrek the Musical brings the Kingdom of Duloc to life with a new electrifying score. Well-meaning but overly talkative Donkey accompanies Shrek as he embarks on the journey of a lifetime to rescue a princess in a tower and deliver her to Duloc. In return, Lord Farquaad promises to return Shrek’s swamp to the way it was before a band of banished fairytale characters took up camp on his property. On his quest to regain solitude, he finds something else altogether. Summary: This is the story of hard work, being in the right place at the right time, talent and love. 42nd Street is a celebration of Broadway and the people involved in shows. It focuses on aspiring chorus girl Peggy Sawyer, her tap-dancing friends and rivals, and her journey to stardom. One of the longest running shows on Broadway and a multiple Tony Award winner. 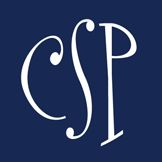 Summary: Founded in 1932, the Charlotte Symphony is the largest and most active professional performing arts organization in the central Carolinas, giving nearly 100 performances each season and reaching an annual attendance of 200,000 listeners. Internationally acclaimed conductor, Christopher Warren-Green, has led the CSO as Music Director since 2010 and recently renewed his contract through 2016. He is also the music director for the London Chamber Orchestra and served as the conductor for Prince William and Catherine Middleton’s wedding. Summary: Join us for family fun on the lawn. This week you can listen to the live music of Tosco Music Party. Summary: June Tunes is a series of free concerts planned for Saturdays in June. All concerts are scheduled to begin at 7:30 p.m. and will be held on the front lawn of the Town Hall. Bring your lawn chairs and blankets and enjoy the music. Summary: All you need to bring is chairs, blanket and a big appetite so you can enjoy great entertainment and some of the best Food Truck Food in Charlotte. Summary: Join us for outdoor movies under the stars! This year’s series offers an exciting line-up of movies, with something for every member of the family! Summary: Come out to Stumptown Park every Saturday nighs for free concerts and movies in the park! Concerts begin at 7 PM, pre-movie activities begin at 7 PM, movies begin approximately 8:30 PM or dusk. Vendors will be on site selling dinner food, treats, and drinks. No pets please. Summary: This month, explore art that tells a story, and share your own tales through fun & creative experiences! -Enjoy yoga for all ages and generations with Margaret Maurice!